EMC Lifestyle - Many environmentalists want consumers to heed the warning the world's oceans are being overfished and certain types of seafood are endangered and facing extinction. 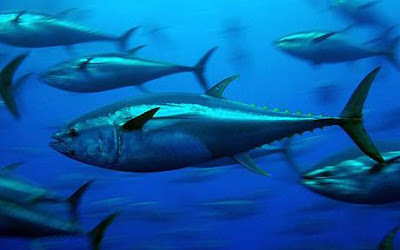 Experts from The International Union for Conservation of Nature warn bluefin tuna are among the more than 40 species of fish in the Mediterranean alone under threat of vanishing from the region. The Monterey Bay Aquarium's Seafood Watch lists several breeds of seafood in its "avoid" column that are overfished or fished or farmed in ways that harm marine life or the environment. Included on the list is imported king crab, grouper, spiny lobster, farmed salmon, many different shrimp and tilapia from China and Taiwan. To help make smart purchases, some consumers would like to see warning labels on certain seafood packaging to indicate if the species is threatened. A poll conducted by Greenpeace in Japan several years ago found 68 per cent of consumers were in favor of the warning labels. Ninety-one per cent of Canadians feel seafood should come from sustainable sources, according to a June 2011 poll by the World Wildlife Fund. Some retailers are already stepping up their conservation efforts. In March 2011 Costco, the popular warehouse center, stopped selling 12 species of fish identified as threatened by overfishing. Other stores are doing the same. This has always been a big issue for me too Mia. EU regulations means that half of the fish caught in our waters are thrown back needlessly as they're undersized. Inevitably, they all die anyway in the process. It's such a disgraceful waste. I don't if you've heard of Hugh Fearnley-Whittinstall, the British chef & braodcaster. He's recently started a major campaign over here I think it's called Hugh's Big Fish fight, I'll see if I can post the link for you. Thank you so much, Dor! !